The biggest news in gaming right now is Kinect, Microsoft’s motion and sound sensitive, controller-free device for the Xbox 360. Nintendo Wii and Playstation Move both require a controller in your hands, but with the Kinect, YOU are the controller. For info on Kinect, check out my post here. The other big Xbox news is Call of Duty: Black Ops, but as that’s rated M, it’s not a game my kids are allowed to play. We’re long time Kirby fans, and with an 8.5 rating, and the unique game artwork, this is a must-buy for our Christmas list. Rated a rare “10”, I’ve had my eye on this game since it was released earlier this year. Another definite Christmas list item for us. It’s been 25 years for Nintendo’s Mario, and oh, the joy. Check out this in-depth interview at USA Today with Shigeru Miyamoto, the creator of Mario. He wasn’t originally a plumber, didyaknow? Rated 8.5, I’m worried I’m missing out by not getting this game, which was awarded a Best of E3 2009 nomination for Best DS Strategy Game, and ranked as the 4th best Nintendo DS game released in 2009. Lego. Harry Potter. Need I say more? Play as Pikachu, meet other Pokemon and explore the PokePark; only rated 5.5 on Gamespot, but getting lots of positive reviews on Amazon. Game does require a LOT of reading, so if your little one is new to reading, this may not be the game for you. Then there’s also Pokemon Ranger: Guardian Signs, DS. This is the third installment in the Pokémon Ranger series. SONIC! We are huge Sonic fans, and I think this game is on ALL the kids Christmas lists. Sonic Colors is a 3D and 2D game, with colored energy powered Wisps. Dr. Eggman opens an amusement park in space. Sonic and Tails discover Eggman is kidnapping aliens know as Wisps to harness their energy. Sonic must save the day. I only wish it had a chao garden. Please, please, please SEGA. Give us a chao garden. We haven’t had one since Sonic Adventure 2 Battle. Please? Real 3D graphics, no glasses required. Backward compatible with Nintendo DS and DSi, the long anticipated Nintendo handheld 3DS is coming. Just not by Christmas. Like 20 Christmases rolled into one. Check out my post here. 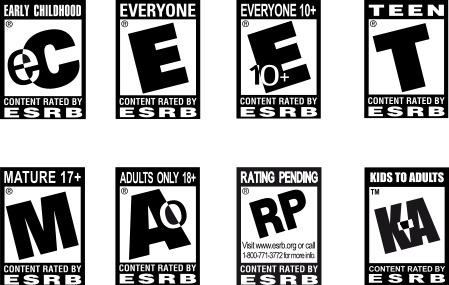 My list of top esrb rated E / E 10+ video games for kids from September 2010 can be found here.